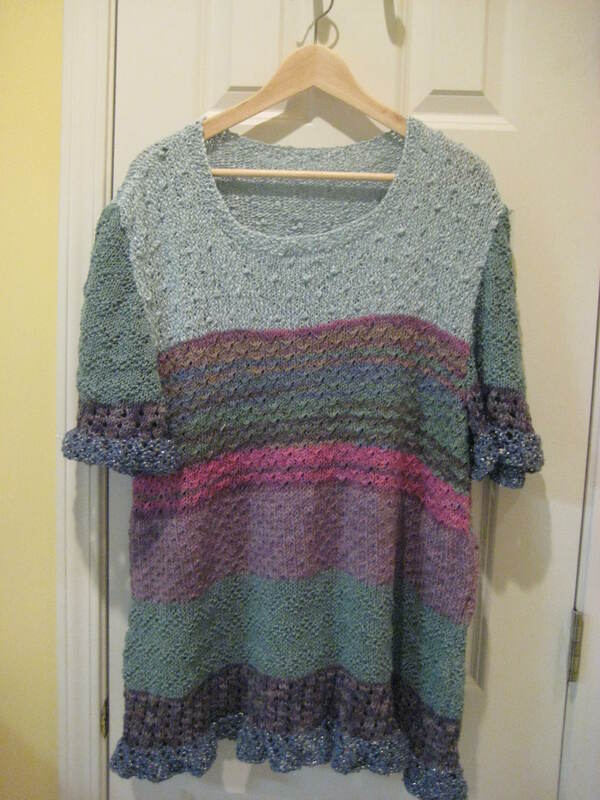 I just finished this tunic that I designed. Every stripe is a different yarn and a different stitch. I actually copied it from a skirt pattern that I saw in a knitting store that I loved, except I didn’t really want a knitted skirt. It was a lot of fun to make and I love the colors. It’s meant to be oversized and worn with a tank underneath. Now I’m circling back to a black winter sweater that I had lots of trouble with and just had to set aside. Hopefully I’ll get that done before Thanksgiving! So many projects!